Inna Kruman, PhD, is a researcher and author of over 50 scientific articles. Through nearly three decades she has been working in molecular and cellular neuroscience. Dr. Kruman grew up in USSR. 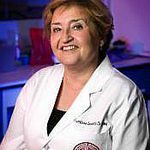 She received her Ph.D. in Cellular Biology from Lomonosov Moscow State University in 1983. The last 25 years she has been working in USA. Her research interests focus on mechanisms of apoptosis and DNA damage response in postmitotic neurons. She has authored over 50 scientific publications, including articles in major peer reviewed journals such as Neuron and Journal Neuroscience, book chapters and invited reviews. Inna grew up with two doctor parents. She was always pulled toward science and went on to earn her Master’s degree in bioorganic chemistry. In a medical chemistry course, she learned that practically all conventional drugs have side effects, and the way they impact humans are often unclear. Even as Inna has enjoyed an academic career in life sciences, she has also always been deeply interested in the role of lifestyle factors in the underlying causes of disease. She has concurrently studied epigenetic (as opposed to genetic) factors in the progression of different diseases. Based on increasing evidence and her own experience. Inna came to the conclusion that lifestyle change is the key to finding and eliminating the cause (s) of chronic disease in the diet and environment. Success! 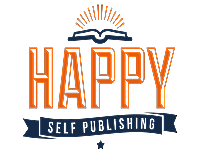 Why you are what you eat sold 14 pre-orders by Oct. 11, 2018, was pitched to 8 publishers, and is in discussions with publishers. 1 Copy of the autographed limited edition of the book "Why you are what you eat" + Free invitation to the book launch. You ALSO get exclusive access to updates and an invite to join my community. 2 Copies (One for you and one for a friend) of the autographed limited edition of the book "Why you are what you eat" + Free invitation to the book launch. You ALSO get exclusive access to updates and an invite to join my community. 3 copies of the autographed limited edition of the book "Why you are what you eat" + Free invitation to the book launch + A Big Thank you mention in the book. This book describes how diet, gut microbiome and epigenetics contribute to the regulation of immune and neuronal systems and thereby play pivotal roles in both physical and mental health. The concept of a tight link between food and human identity is centuries-old and is mentioned in the Old Testament. However, how food affects a human body and mind remained unclear until relatively recently when researches established that environmental factors, including diet can change gene expression. This concept of epigenetics implies that environmental factors not affecting DNA sequence can regulate gene expression by DNA modifications. Such changes could be maintained across generations. Thus, recent advances in epigenetics can explain how diet can impact health, physiology and even behavior at any point in life. Indeed, epigenetic DNA modulations are common in chronic diseases such as lupus and diabetes. Moreover, many psychiatric and neurodegenerative diseases such as Alzheimer’s, Parkinson’s, schizophrenia, and autism are also linked to epigenetics or at least have an epigenetic component. Developmental abnormalities caused by nutritional restriction are also associated with epigenetic modifications during pregnancy. Another important aspect of dietary impact on human organism is microbiome. Certain strains of gut flora (bacteria, fungi, viruses and other microbes) play a huge role in function of digestive system. Recent studies allow for better understanding a vital role in necessary human functions. Given that 70 to 80 percent of the immune tissue “lives” in gastrointestinal tract and germ-free animals are deficient in the development of the gut-associated lymphoid tissues and exhibit decreased immune resistance to infection, the significance of gut bacteria in keeping the body healthy become increasingly evident. The gut also has its own nervous system, called the enteric nervous system. The enteric nervous system governs the function of the gut and is closely associated with the development of the central nervous system. The latest and perhaps most remarkable finding is the ability of gut bacteria to moderate brain function and behavior. Diet composition plays an important role in the control of gut microbial populations and, thus, in the prevention, management and treatment of certain diseases. Thus, what we eat can affect gene expression at the transcriptional level and is especially important for immune system and brain function, increase or prevent most cases of certain diseases, such as stroke, diabetes, and cancer. What we eat can be also the most powerful form of medicine. Chapter 1: The history of human diet and how diet changes, like meat eating, allowed the evolution of human large brains. Chapter 2: Epigenetics and its role in maintaining the body's homeostasis and human diseases. How diet can change epigenome. Chapter4: The role of microbiome in normal homeostasis and diseases. Chapter 5: the enteric nervous system or the gut brain. The enteric nervous system governs the function of the gut. The intimate relationship between the brain and the enteric nervous, the Gut-Brain Axis. Changes in the gut microbiome (stress, antibiotics or toxins) negatively impact the brain. Chapter 6: The role of digestion system and diet in allergies and autoimmune diseases. Chapter 7: Food as medicine. Benefits of Functional medicine in prevention and treatment of chronic diseases. My ideal audience is people who are interested in life science and people who have chronic diseases, such as allergies and immune diseases and looking for an alternative approach to the treatment. This book can also be interesting for people who want to better understand factors for good health. A new analysis by Pew Research Center finds 37% of online adults say “health and medicine” is among the topics they find most interesting. Women are especially likely to express interest in health and medical topics, while men are relatively more inclined to express interest in science and technology. About half of online women (52%) say health and medicine is among the top three topics of interest to them, compared with 22% among men. Younger adults (ages 18 to 29) are more inclined than older adults (ages 50 to 64) to cite science and technology as a topic of particular interest, while the reverse pattern occurs when it comes to interest in health and medicine. I will use my personal network and email list to prepare these people before the book launch, get them engaged in feedback and of course to acquire the initial readership subsequently through pre-orders to the same people. Connections on LinkedIN, on Facebook, my colleagues. 1.You Are What You Eat: The Plan That Will Change Your LifeGillian McKeith; March 28, 2006; Plume. The book represents features real-life diet makeovers and case studies, easy to use lists and charts. Dr Hyman takes a close look at every food group and explains what we've gotten wrong, revealing which foods nurture our health and which pose a threat. Dr. Hyman debunks misconceptions and breaks down the fascinating science in his signature accessible style. He also explains food's role as powerful medicine capable of reversing chronic disease, painting a holistic picture of growing, cooking, and eating food . Dr. Gundry reveals that gluten is just one variety of a common, and highly toxic, plant-based protein called lectin. These proteins are designed by nature to protect them from predators (including humans). Once ingested, they incite a kind of chemical warfare in our bodies, causing inflammatory reactions that can lead to serious health conditions. Dr. Gundry has successfully treated tens of thousands of patients suffering from a variety of chronic diseases. In the Plant Paradox, Dr. Gundry shares his clinically proven program. Justin and Erica Sonnenburg are pioneers in the most exciting and potentially transformative field in the entire realm of human health and wellness, the study of the relationship between our bodies and the trillions of organisms representing thousands of species to which our bodies play host, the microbes that we collectively call the microbiota. 5. Lindsay Boyers The Everything Guide to Gut Health: Boost Your Immune System, Eliminate Disease, and Restore Digestive Health; January 9, 2015; Everything. A poor gut health causes many problems. The book is an inclusive and natural guide to gut health also features 150 nutritious recipes to promote healthy gut flora. The book offers 150 nutritious recipes to restore healthy gut flora and thereby reduce or eliminate symptoms of a wide range of diseases. The book explains how your digestive system works and what to do when it doesn’t. It describes practical solutions to all the common gastrointestinal disorders and expert guidance on the newest advances in testing and diagnosis, nutrition, and natural therapies. I make the accent on "why" or on the scientific mechanisms of how food affects a human body, on complex relationships between digestive system with its symbiotic microbes and immune and nervous system. In my book, I focus on scientific aspects behind the reaction of digestive system to diet. Other most relevant books are mainly centered on the practical aspects such as certain diets, protocols, clinically proven programs or nutritious recipes.